Friendships: in print and on screen, music is the expression of human emotion. The Romantic works in this program, although composed well over a century ago and each written for a dear friend, have each been given a pivotal role in literature, and on screen. Kafka on the Shore, written by Haruki Murakami in 2002, uses the Archduke Trio to explain the relationship between two main characters, Nakata and Hoshino. Beethoven wrote this trio for his friend and student Archduke Rudolph of Austria. Heard in the 2014 movie Miss Julie, directed by Liv Ullman and starring Jessica Chastain and Collin Farrell, this sultry piano trio, dedicated to the composer’s dear friend, cellist Charles Davidoff, is characterized by warm, luxurious melody and intimate dialogue between the instruments. Dorothy Braker had her very first lesson in music at the age of 4 with Dr. Shinichi Suzuki, whose new idea about musical study through unlocking each child’s innate potential was first being brought to the United States. Her studies in cello, starting at the age of 8, were with Lois Yopp, Phil Blum, Karl Fruh, and Harvey Shapiro. Primarily a soloist and chamber musician, she has performed extensively across the United States, chiefly with performances associated with “Music History a bore? Not a chance!” that went across the Appalachian Valley in local schools, many schools in New York State, and to many fine museums and libraries, including the Newberry Library in Chicago and the Bennington Museum in Vermont. 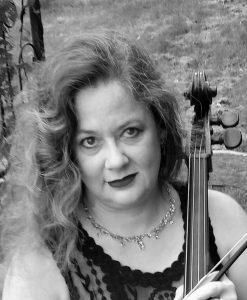 As the founder and Artistic Director of Aliento Chamber Players, she performed and managed a five-year chamber music concert series in the Seacoast area. 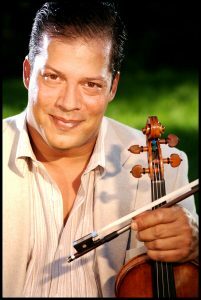 Here in New Hampshire, in addition to many chamber music and solo appearances with area groups including the Portsmouth Symphony and Merrimack Valley Orchestra, she is principal cellist and Outreach Coordinator with The Portsmouth Symphony, coaches chamber music and has a private studio of students. 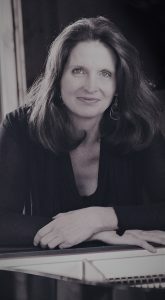 As the Outreach Director of the Portsmouth Symphony, she helped to create and currently maintains the Concerto Competition, the MyPSO youth music arm of the Portsmouth Symphony that also has an outreach concert series for local schools, and the “Get Cozy with the Portsmouth Symphony” monthly chamber music concert series at the Dance Hall in Kittery, Maine, now in its fifth season. Pianist Mary Towse-Beck has been a performing artist for the past twenty-five years. Equally at home as both soloist and collaborative artist, she has performed throughout Europe, Australia and the United States. She has been a featured artist on Australian National Radio and her 2013 release of The Impressionists not only received critical acclaim but also extensive airplay throughout North America. Recently, she gave a solo recital at Weill Recital Hall at Carnegie Hall and appeared as soloist with the Portsmouth Symphony. Mary received her Masters and Bachelors of Music from Indiana University where she studied with James Tocco and Edward Auer, and also received coaching from many renowned teachers including Josef Gingold, Janos Starker and Gyorgy Sebok. She attended Eastman School of Music as an undergraduate studying with Rebecca Penneys, after having studied with Jerome Rose in her hometown of Toledo, Ohio. After completing her Masters, she continued her studies in London with Norma Fisher and Benjamin Kaplan. After having lived in England for twenty years, Mary returned to the United States in 2007 and now resides in New Hampshire. 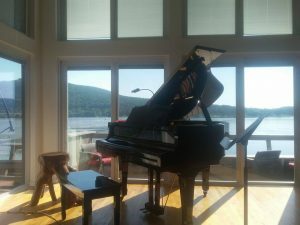 She maintains a large teaching studio in her home in Kensington, NH, and also continues to perform chamber music and solo recitals.